Let's dance Helsinki! 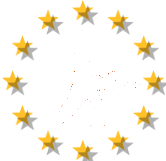 is the "Festival for passionate dance lovers", according to its webpage. In Finland's biggest and best-known Expo and Convention Centre "Messukeskus", the WRRC Boogie Woogie and Acrobatic Rock 'n' Roll elite met for a showdown. Expectations formed through the recent World Championship were confirmed by the Boogie Woogie couples and two familiar faces won the Main Class Free Style competition in Acrobatic Rock 'n' Roll as well. World Championship Bronze medallists Patrizia Agati & Gianluca Burbassi went for Gold among the Seniors in Helsinki. In close race the Italians were followed by the french Vice World Champions Laurence Nograbat & Raphaël Dupas and swiss couple Cornelia Versteegen & Stephan Eichhorn, outperforming the remaining finalists by 4 points. as well as the french couple Carla Matarazzo & Tom Michel, the Bronze and Silver medallists, respectively, from the recent World Championship. Among the Acrobatic Rock 'n' Roll competitors russian couple Olga Sbitneva & Ivan Youdin took the lead. Margarita Charkovskaya & Ivan Kudryashov together with Anastasia Gusarova & Konstantin Samoylov complete the russian-only podium in the Main Class Free Style category.